Israeli forces continued with systematic crimes, in the occupied Palestinian territory (oPt), for the week of 21 – 27 March, 2019. 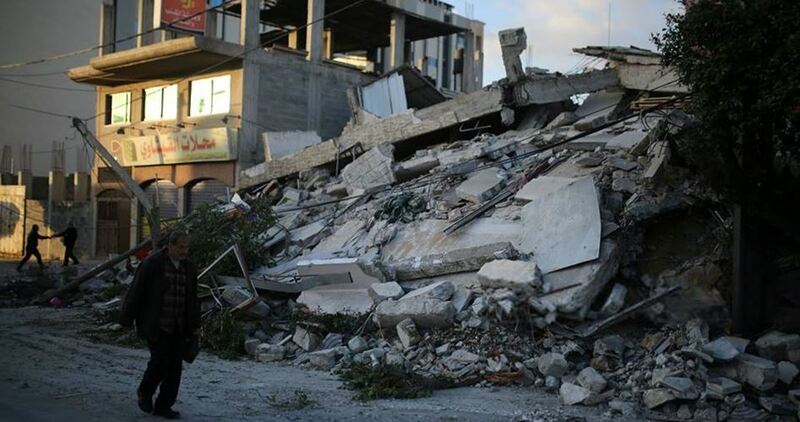 Israeli warplanes launched 82 missiles at 38 targets across the Gaza Strip. Several houses and civil facilities sustained material damage and dozens of civilians became homeless. Israeli forces continued to use excessive force against the peaceful protestors in the Gaza Strip. Two Palestinian civilians were killed in eastern Gaza City and al-Buriej camp. 195 civilians, including 56 children, 4 women, 3 journalists, and a paramedic, were wounded. The injury of two of them was reported as serious. On Monday and Tuesday, 25 and 26 March 2019, Israeli forces carried out dozens of airstrikes on various targets across the Gaza Strip. These airstrikes have been the most violent in recent months that have not spared civilians and displaced dozens of them after 10 days of a similar aggression. For 12 hours, two million Palestinians in the Gaza Strip lived in a state of terror and fear due to the continuous Israeli airstrikes that targeted various locations; some were in densely-populated areas throughout the Gaza Strip. Moreover, on Wednesday, 27 March 2019, Israeli warplanes fired missiles at other targets. 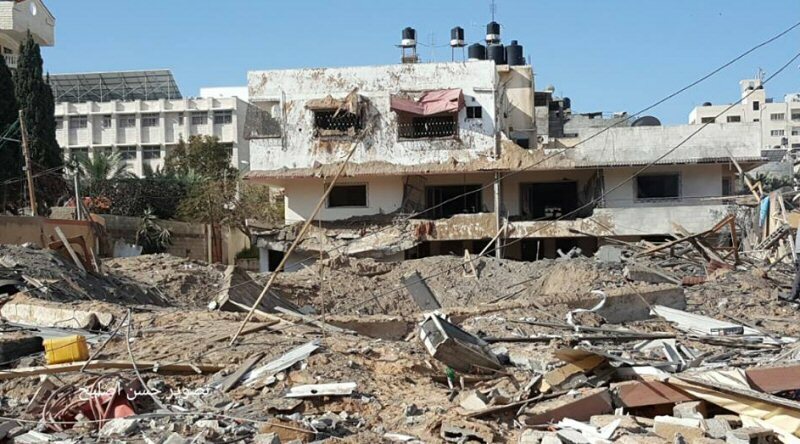 According to the documentation of PCHR, the Israeli warplanes fired 82 missiles at 38 targets across the Gaza Strip, including residential buildings and civil facilities, under the pretext of having security service offices underneath or near them. As a result, seven Palestinian civilians were wounded due to the scattering glass and bricks following those airstrikes and reported minor. During and after the airstrikes, dozens of civilians were forced to evacuate from their houses dreadfully in the cold weather at night, rendering 13 families comprised of 70 members, including 44 children and 14 women, homeless. In addition to the destruction caused by the airstrikes against the targeted locations and the damage caused to nearby houses and facilities, the resulting explosions caused panic and fear among civilians, especially women and children, as the explosions reminded them of the traumatic experiences they lived in the three offensives of 2008-2009, 2012, and 2014. With this wide-scale tide of escalation, Palestinian civilians in the Gaza Strip found themselves again under disproportionate airstrikes, which fall under the Israeli collective punishment policy, after Israel had declared that two rockets were fired from the Gaza Strip over northern Tel Aviv, wounding seven Israel. The Palestinian Center for Human Rights (PCHR) said that the recent Israeli air raids on the besieged Gaza Strip displaced 13 Palestinian families of 70 individuals, including 44 children and 14 women. According to the Center , those families spent their night outdoors in the cold. Dozens of aerial attacks targeted different areas of Gaza on Monday and Tuesday, causing widespread destruction to civilian infrastructure and facilities and injuring at least 10 citizens.